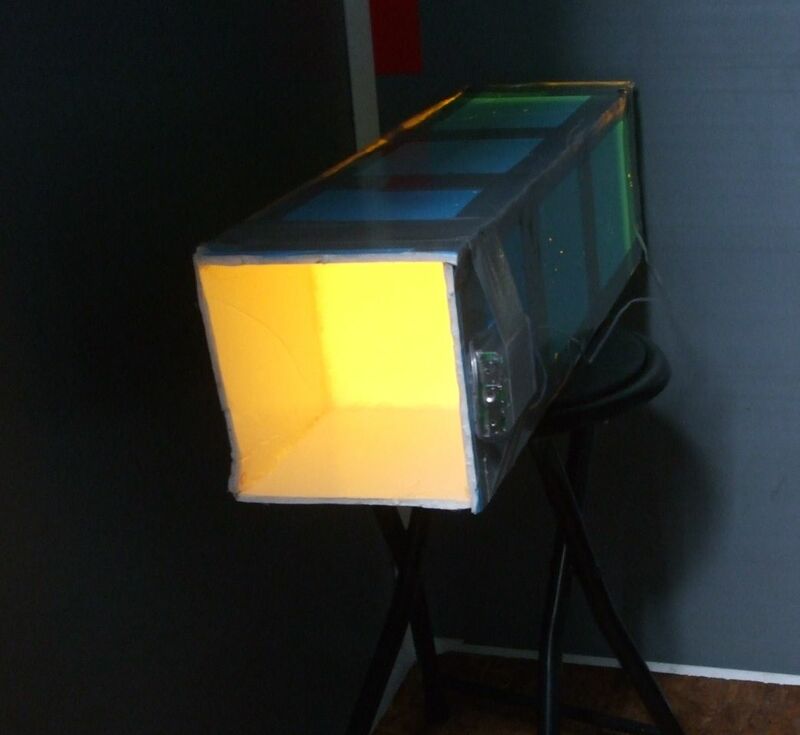 Here some images of my simple light box to take flats with my telescope. Flats are typically used to address practical problems like vignetting and dust. Vignetting causes the light tends to drop at the corners from 90 to 75% depending on the telescope and optical train. Since my telescope is a wide field one, using the twilight sky can be tricky for making flat fields due to the unequal illumination of the sky. A light box is than a better choice. The light box is made or very light plate material glued together with hot glue gun and additional duct tape for support.. It contains two diffusers about 30 cm apart made of transparent packing foam about 1 cm thick. Total length is 55 cm. 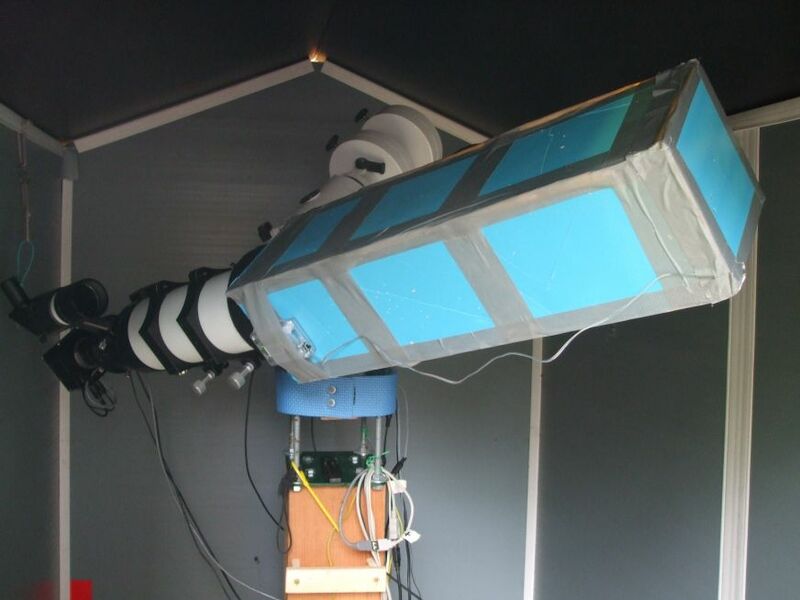 This is the final setup with the light box on the 100 mm APO telescope. 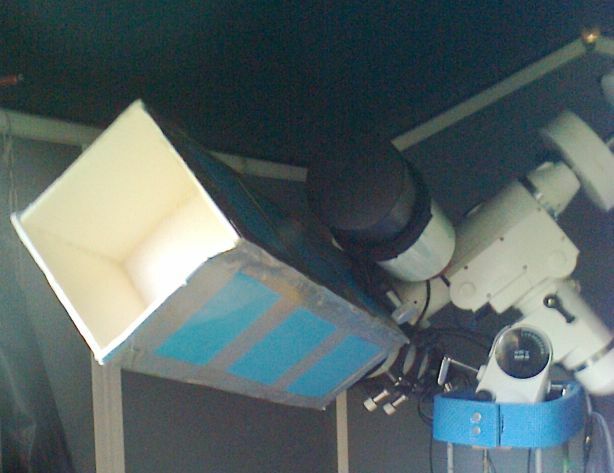 The battery container is near the telescope since it is the most heavy part. As a light source a flexible led strip was used. The strip comes with a glue layer and the battery compartment. 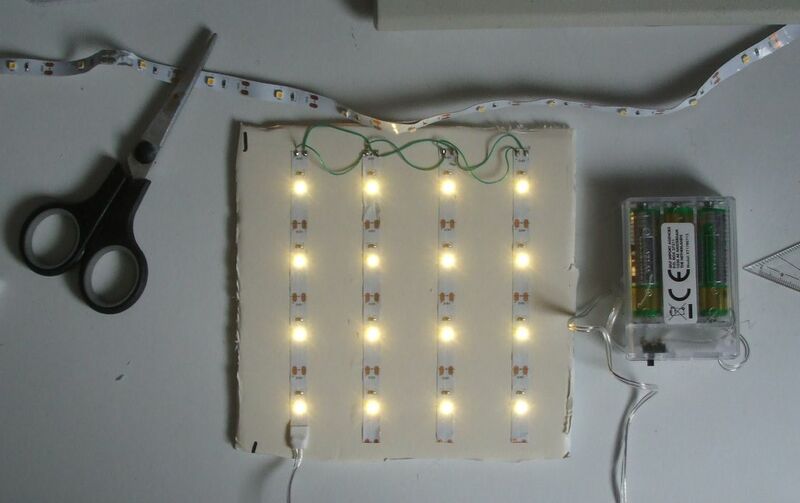 LED distance is about 33 mm and the strip was was cut in four parts and electrical reconnected using some flexible thin wires. The LED strip and battery was bought for Euro 1,49 only. Here with the light switched on resulting in a very uniform light source. Flats made with the light box look good and symmetrical.